A last will and testament is an important legal document for ensuring that your assets are distributed after death according to your wishes. While it can be difficult to think about death and the distribution of your property, planning ahead can save your family from hefty estate taxes and long legal battles. A properly prepared will can provide for the care and maintenance of your spouse and minor children, and even your pets. Understand Missouri's specific requirements for last will and testaments so that your will is legal and valid. To create a will in Missouri, you must be 18 years or older and of sound mind. Some conditions, such as emancipation, active military duty and marriage, allow minors to make legal wills. Choose at least two people to be witnesses to your will. They should not be beneficiaries to your estate or immediate relatives, and the witnesses must be at least 18 years or older. Use a basic last will and testament template to create your will. As a general rule, Missouri does not recognize video or other wills that are not presented in writing. Use a typewriter or computer to prepare the document. Choose the form that best applies to your current marital situation and the age of your dependents (if you have minor children, you need to designate guardians). How do I Write a Simple Will in Canada? Designate the distribution of your property; make sure to include your spouse and children or grandchildren, if applicable. Designate a guardian for minor children, and set up a trust for their care. If you wish to disinherit a family member, give them a token gift (for example, $1.00) to avoid challenges to the will. Missouri law allows for charities and other organizations, such as colleges or churches, to be included as beneficiaries in your will. Name an executor – someone who will administrate your estate after your death. Print the document and check for any errors. If you need to make corrections, reprint the document. Do not use liquid correctives or mark out sections of the document. Handwritten wills are not acceptable legal documents in Missouri. Include a self-proving affidavit at the bottom of your will. This will allow your will to be recognized in court without your witnesses needing to appear personally to validate it. You can find a sample affidavit in the resources section. Sign and date the document in the presence of your two, or more, witnesses and a notary public or other public official with the authority to administer oaths. Have the witnesses sign their names and date, as well as print their contact information (if it is not already part of the document) below their signatures. 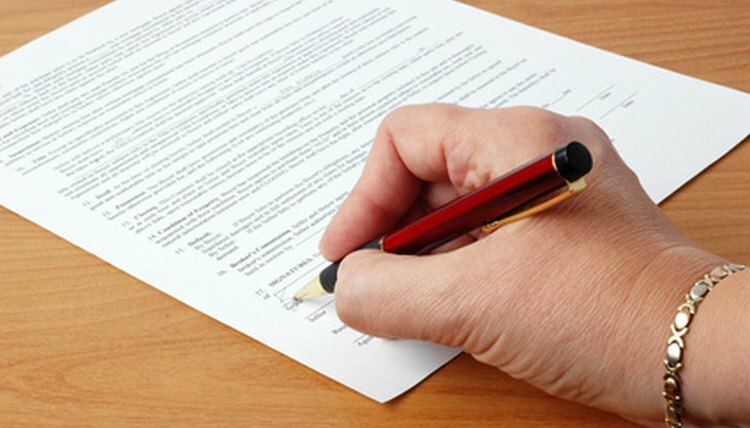 The notary will affix a seal to the completed document and sign the self-proving affidavit. Make copies of your signed will and keep the original in a safe place. If you have made a will in the past, you will need to destroy all copies once the new will is signed. Missouri allows for the creation of a "pet trust" to care for your animals after your death. Designate a caregiver, if you so desire, and add the pet trust as a beneficiary in your will. The information contained in this article is not a substitute for professional legal advice. Check with a lawyer if you need more information. Meyer, Christine. "How to Create a Will in Missouri." , https://legalbeagle.com/6760707-create-missouri.html. 01 March 2019.